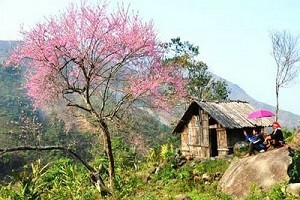 Sapa is a natural land where four seasons are differentiated clearly. Each season is usually symbolized by distinct and original products.Whatever season is Sapa in, this land always has its rare and distinct beauty. People who have fallen in love with Sapa said that even in each day, Sapa also has its different feature from the previous day. In the autumn in Sapa, terraced fields have a beautiful yellow flower and precious medicinal plants like “tam that” (a kind of bulbous aralia), amomum, anise, and goldthread enter their season. 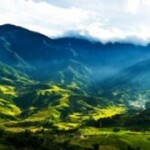 Especially, the scenery of sunlight and cloud covering the hills and trees makes Sapa more attractive to travelers. Whatever season is Sapa in, this land always has its rare and distinct beauty. 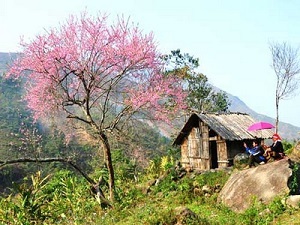 People who have fallen in love with Sapa said that even in each day, Sapa also has its different feature from the previous day. And in one day, it is possible to realise cadences of time and weather which are passionate and uncommonly interesting. 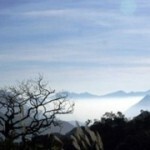 In the morning, Sapa hides itself in fog and exposes its beauty like in the spring when sunlight spreads over the land. In the afternoon, when the sun is at its zenith, the atmosphere covering the region is the atmosphere of summer. 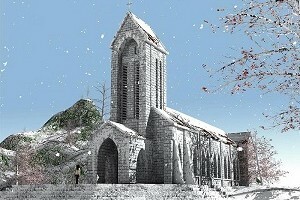 Then in the evening, at sunset, Sapa shrinks in the cold weather. At night, when cold air flows pervade from the mountains’ peaks, Sapa has the cold of winter and sometimes there is snow falling like petals. Beauty of Sapa at begining of winter The resort town of Sapa in winter fully covers with cold winds; it appears beautiful in the chamr of a foggy town, a peaceful village. The following pictures will show you this atrracting beauty.